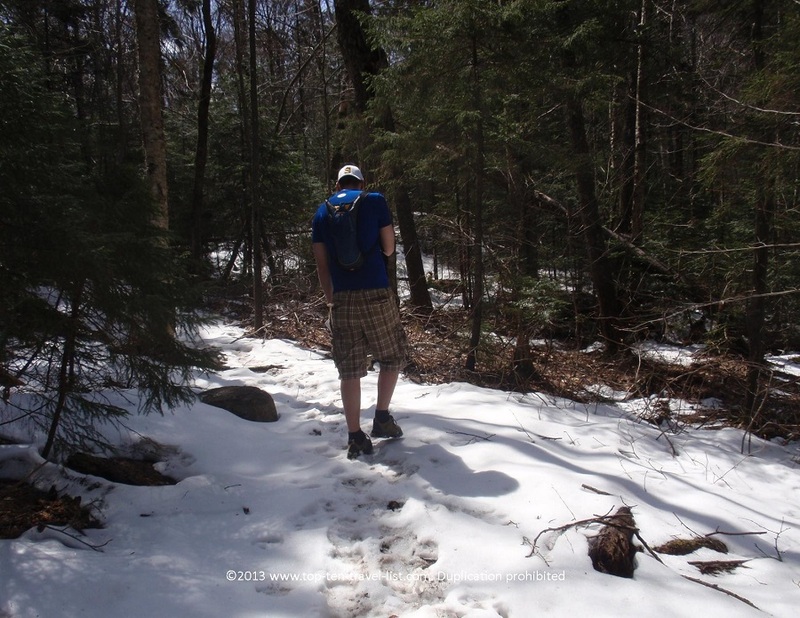 Hiking Hotspot: New Hampshire's White Mountains - Top Ten Travel Blog | Our experiences traveling throughout the US. 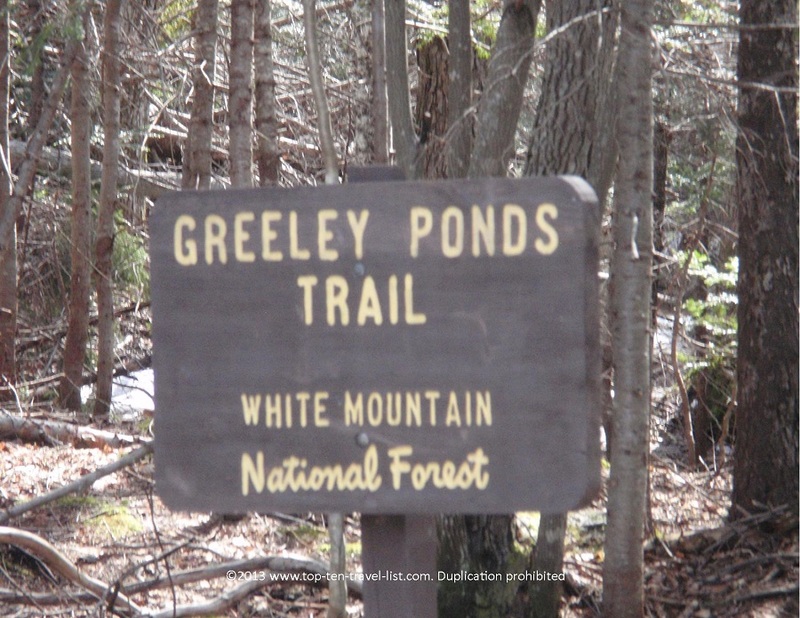 The White Mountains National Forest is most well known for Mt. Washington, the highest mountain in the Northeast (6288 ft) and one of the windiest places on Earth (wind speeds reached 231 miles per hour back in 1934). 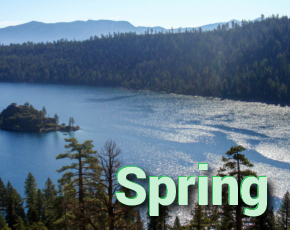 The area is very popular for recreational activities, especially hiking, biking, and cross country skiing during the winter months. 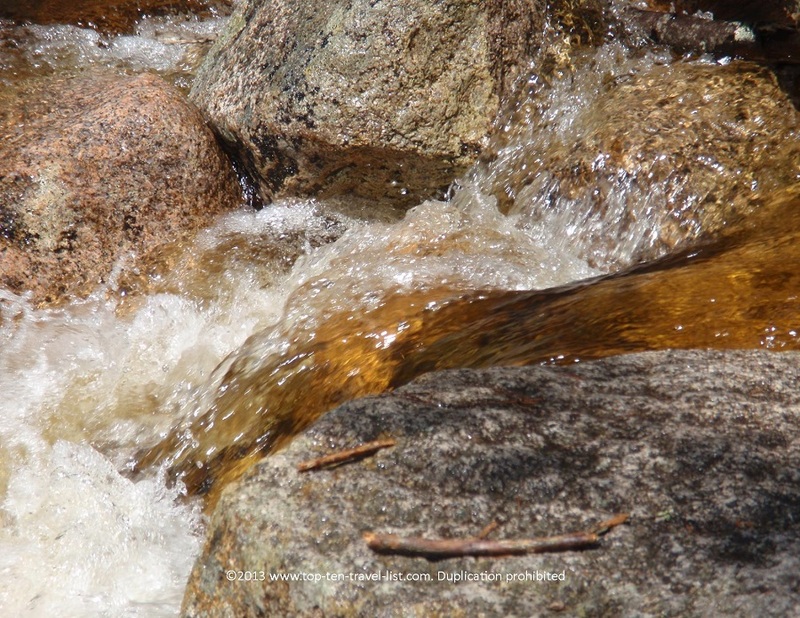 There are plenty of quaint New Hampshire towns to choose from when planning a White Mountains vacation. Bethlehem, Littleton, and North Conway are all nice towns which offer a variety of different lodging options. 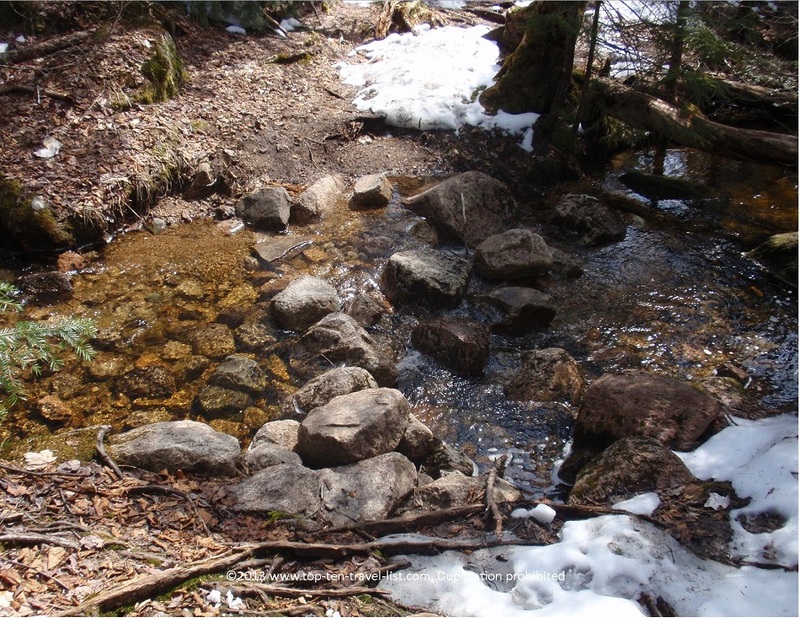 We have only visited in late spring, when snow was still on the ground. I would love to visit during the fall season for the spectacular fall foliage (we are still deciding which New England state would be best for this year’s fall getaway). 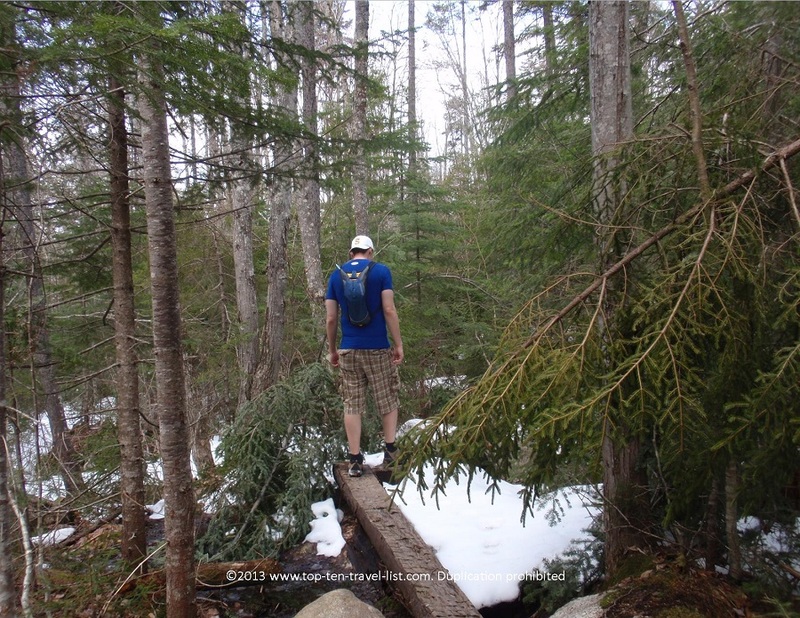 You are bound to have a fabulous time no matter what season you visit: The White Mountains offer a multitude of recreational activities any time of year. 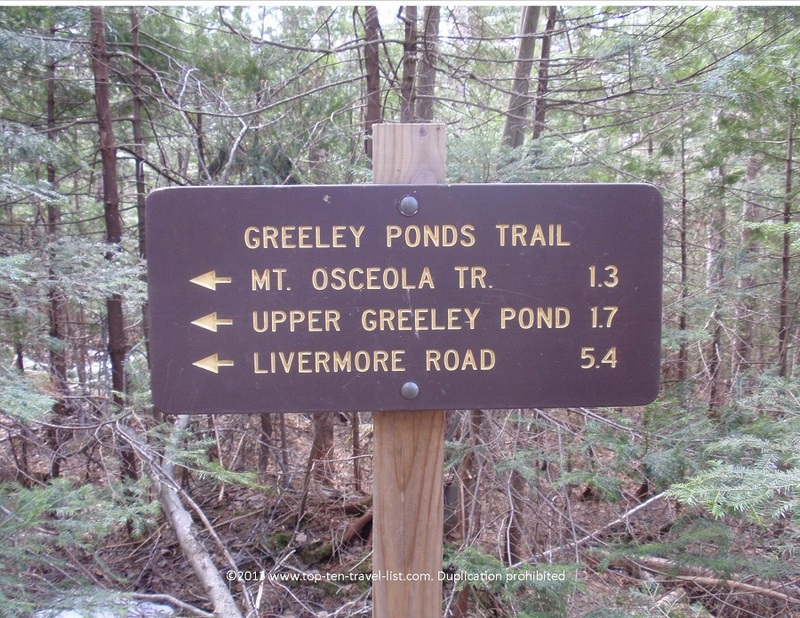 We hiked the Greeley Ponds Trail within the White Mountain National Forest. This hike is about 5 miles long round-trip, however, you have the option of turning around if needed. There is a small parking lot with a $3 charge for each car. This trail is pretty flat with only a few uphill climbs. Beautiful scenery surrounds you at every turn. 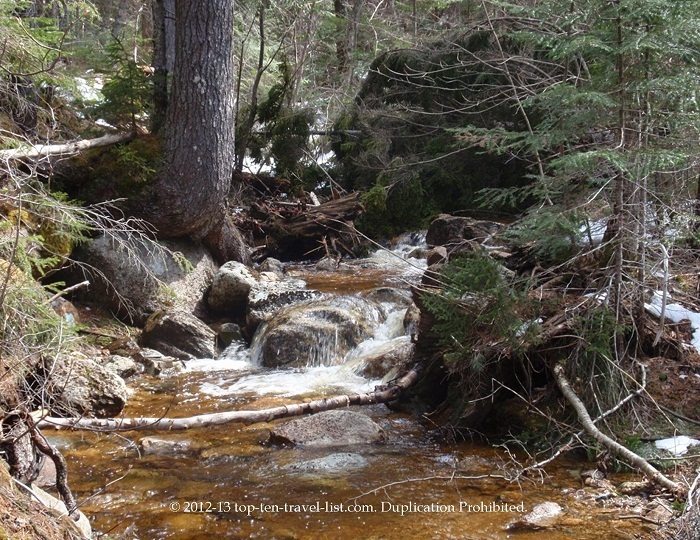 Hiking at the White Mountains was a peaceful, rustic experience. We only saw a handful of people the entire time on the trail. This is both good and bad; good because of the serenity, but also bad because a bear encounter is more likely with less crowds! Luckily, we did not run into any bears. However, we did come across some bear footprints in the snow. Check out these prints we captured! 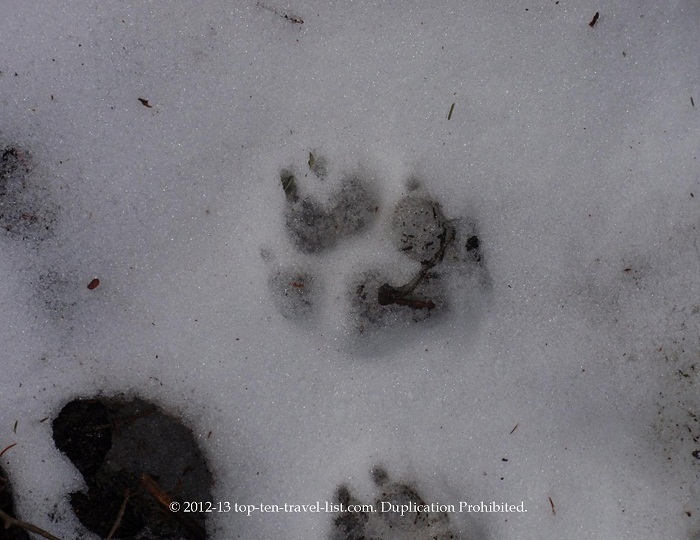 Seeing these bear prints made me want to turn around, however, I finished the hike. 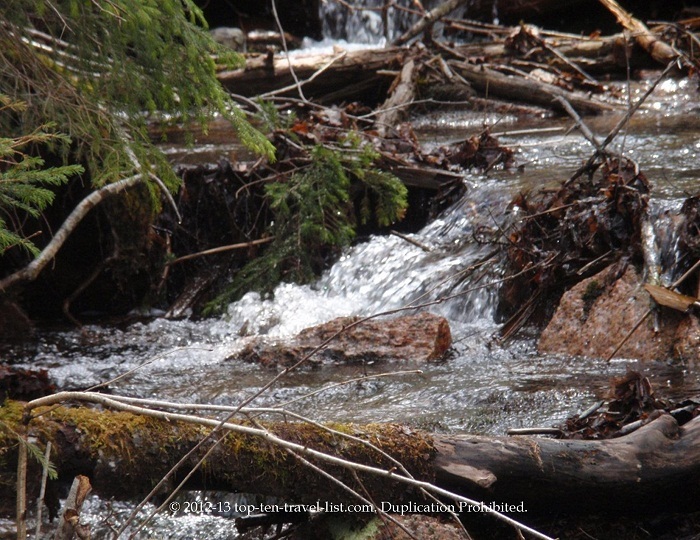 The air was so fresh and the stream and forest views were too amazing to turn back! 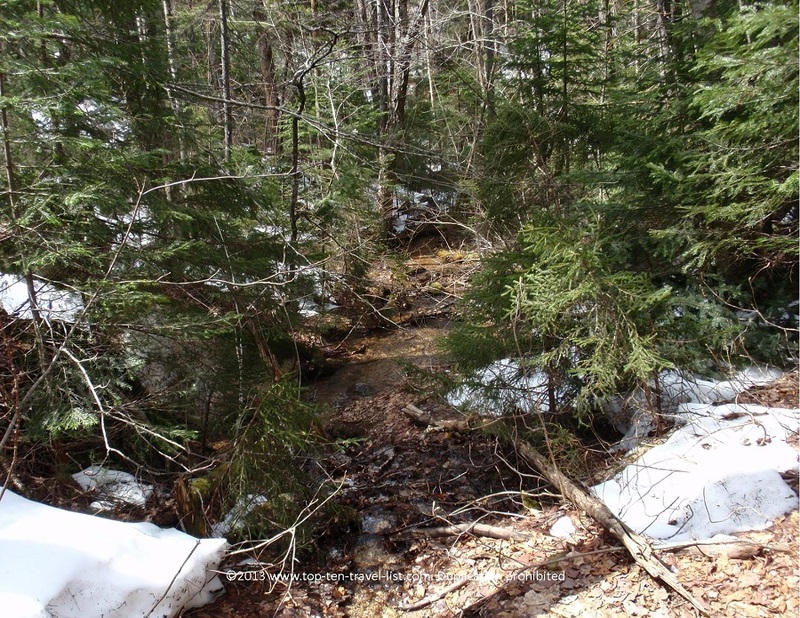 We definitely want to explore more of the White Mountains National Forest. We are looking forward for our next trip to the area. A great inn located just 20 minutes or so away is Bear Mountain Lodge in Bethlehem. 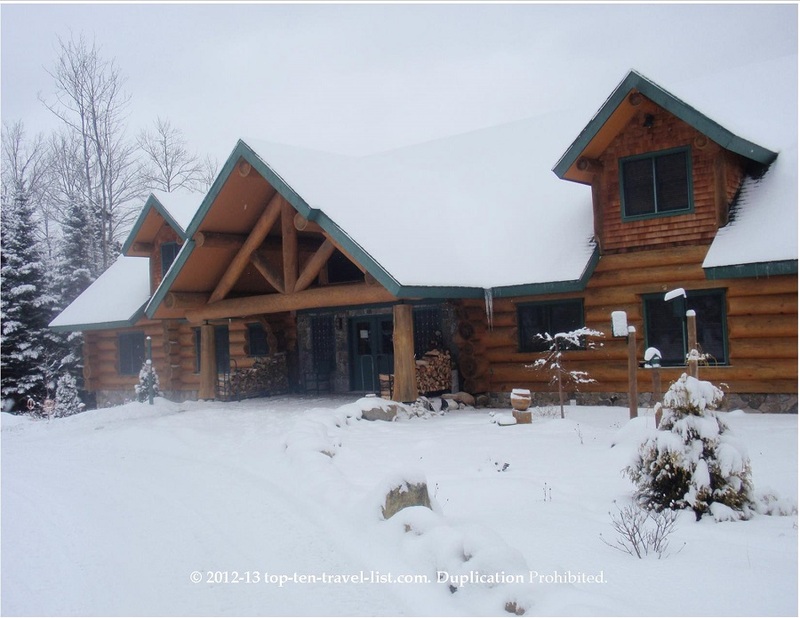 This beautiful log cabin themed Bed & Breakfast features panoramic views of the White Mountains from the gorgeous lobby. This quiet getaway is located on its’ own 26 acres of land, making it the perfect peaceful escape. 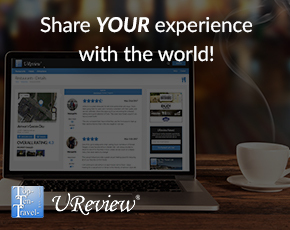 Great amenities, including on site snowshoeing trails & a year round hot tub add to the experience. Check out my full review: A Winter Getaway at Bear Mountain Lodge in Bethlehem, New Hampshire.